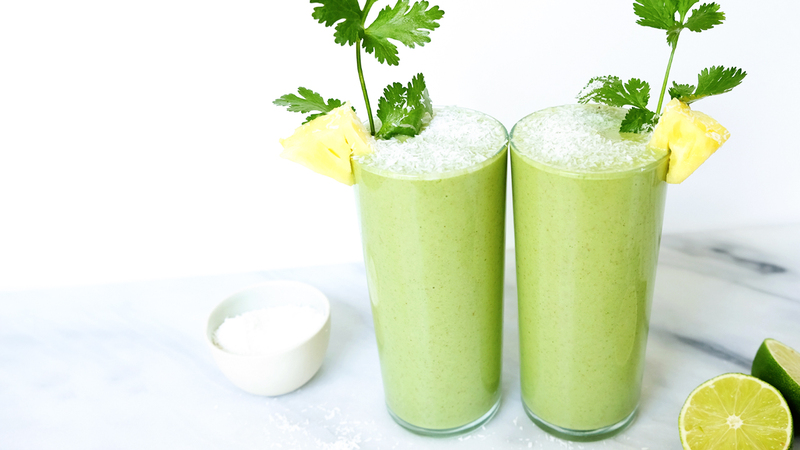 We consider this smoothie an excellent antidote to the many indulgences of holiday celebrations. Think of it as a great big glass of healing whole foods! It contains fantastic fiber levels, liver support, and antioxidants to clean out your system. You can’t not feel amazing after downing this drink. Recipe courtesy of Alison Wu, recipe developer and food stylist. Garnish with a sprig of parsley, a lemon slice, and some sprinkled hemp seeds. I used water instead of almond milk and it was pretty good!